I love how easy this recipe is to toss together! Simple ingredients, complex flavor! Place the pork roast and red onion slices in the base of the slow cooker and sprinkle with salt and pepper. Pour the Dr. Pepper and BBQ sauce over the pork roast. Set the slow cooker on low and cook for 8 hours. Prepare the coleslaw salad just before serving. Once the pork roast is cooked, shred the meat with 2 forks and toss with the sauce. Spoon shredded pork onto hamburger buns and top with Coleslaw. 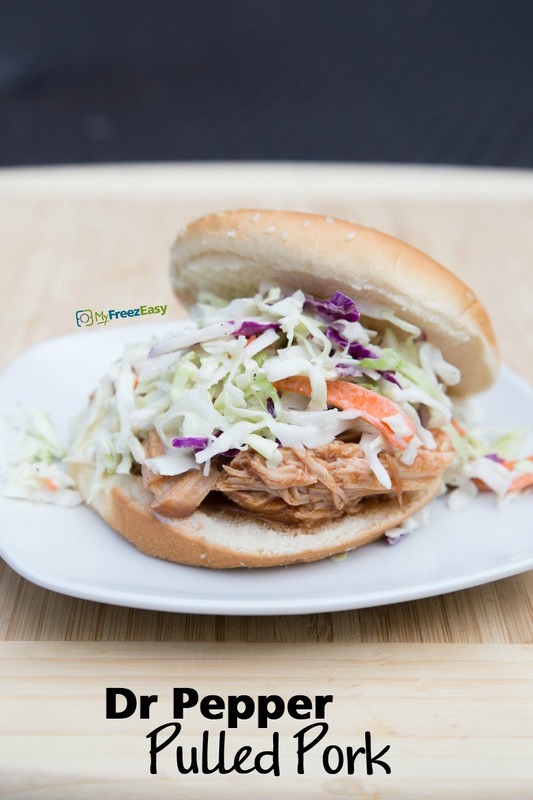 Serve Slow Cooker Dr. Pepper Pulled Pork with chips. Serve these on Kaiser rolls or onion topped buns for fuller flavor. Recipe is dairy-free when served with dairy-free sides and dairy-free Cole slaw. Recipe is gluten-free when served with gluten-free buns or over other gluten-free side like rice. Thaw and slow cook on low for 8 hours. Once cooked, shred the meat with 2 forks. 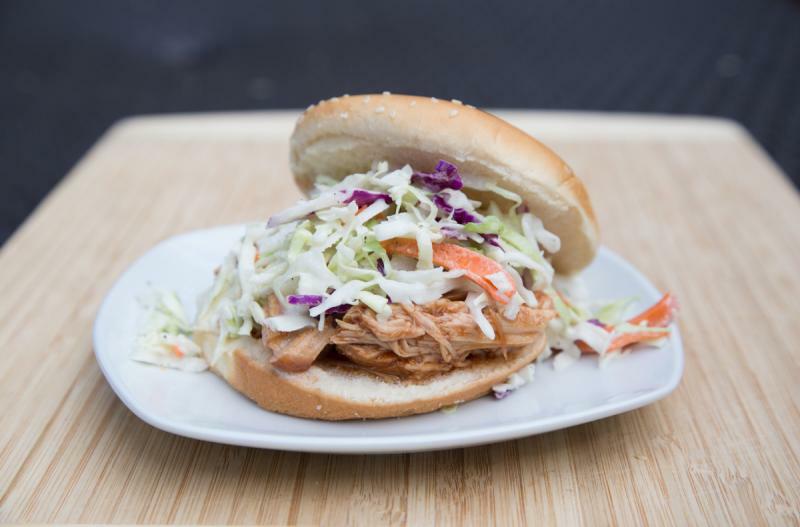 Spoon onto hamburger buns and top with coleslaw.